When you see a kid with autism, you’ve seen ONE kid with autism. Unfortunately, autism is not one thing, and you can’t treat every brain the same. Fortunately, there are ways to scan the brain to determine the type of autism your child has, so you can treat them using appropriate methods. In part two of a series with Lisa Ackerman, founder of TACA (Talk About Curing Autism), hosts Dr. Daniel Amen and Tana Amen discuss the role SPECT imaging plays in autism treatment. 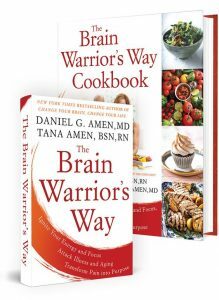 Dr Daniel Amen:	Welcome to the Brain Warrior’s Way podcast. Tana and I are blessed to have Lisa Ackerman with us. 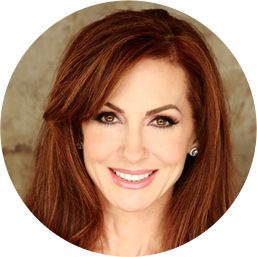 And, Lisa is the founder and the Executive Director of TACA, Talk About Curing Autism. You can learn more about it at TACAnow.org. She has been a warrior in the Autism community for many years, and it's personal. It came from having her son who was diagnosed with it. And she has literally helped tens of thousands of people. And, what we're going to do in this podcast, is we're going to talk about something that's actually really special to me, which is imaging in Autism. Lisa Ackerman:	Yeah didn't you come to me five years ago or more that you said, we need to look at brains of kids with Autism and write a study on it. And you were all wanting to get that done. How long ago was that? Dr Daniel Amen:	It was 12 years ago. Lisa Ackerman:	I'm sorry. I've aged in dog years so I apologize, I can't keep track of time. Dr Daniel Amen:	It was actually before I met Tana. Tana Amen:	Oh, that's hilarious. Lisa Ackerman:	Don't jip them on any of those years. Okay. Tana Amen:	Oh that's funny. Lisa Ackerman:	Well time flies when we're having a good time, right? I was just so impressed at you looking at and doing it so methodically and then, seeing the study. I think I cried when you sent it to me, I was so excited. For folks out there it's, hold on there's a lot of words; Functional Spec Neuro-imaging using machine learning algorithms distinguishes Autism Spectrum Disorder from healthy subjects. And it's so incredibly important. Tell me about this, why is it so important? Dr Daniel Amen:	to diagnose them. That Autism is a clinical diagnosis, it's a diagnosis of symptoms. Dr Daniel Amen:	You don't read social situations properly, and their language deficits. Tana Amen:	So I have a question? So I don't clearly know as much about Autism as the two of you do, so I'm the odd man out here. And for the people who are watching and listening, I want to make sure that we cover this. Tana Amen:	And also, you mentioned something in our last podcast Lisa, that I think is really important. Not all kids have the same symptoms. So there's like this spectrum we hear about but what does that mean? For a lot of us, we don't understand what that spectrum really means. Tana Amen:	So help us out. Lisa Ackerman:	Well, let's hit the second question and we'll come back to the first so I'm not avoiding you. Lisa Ackerman:	But, for Autism what we say is once you see a kid with Autism you've seen one kid with Autism and the same goes with adults. They do present so differently and really it's just the constellation of the same types of experiences that give you that diagnosis. So, for example, instead of one kid hand flapping as a self-stimulatory behavior, another one may open and close the door. So, it appears differently, but it affects you just the same. I can't stop them with my words, or I have to physically move them to stop opening and closing the door, or distract them. I'm great at divert and distract, I'm like that's my expertise if you really want to know. Well, besides that I'm making you dinner. But, the point being is that it's when they rise up so much that they can't learn in a typical setting, they have behaviors because of frustrations, which could be communication or not understanding. But it's just a constellation of them all together that really equates to Autism. And there's some great videos on the TACA website, and also stories that describe different peoples experiences. And of course, on About Autism, there's literally all the symptoms. Now, you and I may have a couple of these symptoms, I think some of my OCD helps me get through and be successful, but it's something I can turn off. Lisa Ackerman:	I can go to sleep, I can have dinner with my husband and not talk about Autism. Tana Amen:	You can shift. Dr Daniel Amen:	But it's different because OCD is different than Autism. Dr Daniel Amen:	Because either of self-harm, or harm to others. Dr Daniel Amen:	Or, you could be running Microsoft. Tana Amen:	He's really focused. Dr Daniel Amen:	The term, which is just nuts when you think about you know, how we diagnose Autism and then all the names it's had. From Pervasive Developmental Disorder, to Asperger Syndrome. I think many children who used to be diagnosed with mental retardation are now being diagnosed with Autism. It's the nuttiest spectrum. Lisa Ackerman:	There may be some of that diagnostic substitution but, I don't think that explains, which goes to your second question. You know, the rate and the hockey stick increase. I truly wish Autism was corporate profits for some do-good corporation. I really do right? But it's a hockey stick increase and we can't say it's diagnostic substitution to explain all of it. Or, we just know what Autism looks like. I want to just take offense for all of the experts that have been diagnosing Autism for 30 years. They know what Autism looks like, they understand what Autism presents as. It's like, you can't miss it, it's like missing a train wreck and nope, I'm not trying to be disrespectful to individuals with Autism, but we can pick you out of a crowd. There's no issue there, there's just more kids. So, when Jeff was diagnosed, I think the diagnostic criteria was somewhere at one in a thousand. And, within five years prior, it was one to two in every 10,000. Dr Daniel Amen:	When I was in training in the 1980s when I did my child psychiatry training, it was one in 10,000. Tana Amen:	What is it now? Dr Daniel Amen:	Then it was 155. Lisa Ackerman:	One in 45. Dr Daniel Amen:	One in 45. Lisa Ackerman:	One in 45 U.S. children. Tana Amen:	What the heck? Dr Daniel Amen:	Now [crosstalk 00:07:41] it is skyrocketing. Lisa Ackerman:	Here in Orange County at a school district it's one in every 43 children. Tana Amen:	You just gave me like chills. Tana Amen:	So there's something [crosstalk 00:07:48]we're missing. Tana Amen:	We're missing something. Tana Amen:	Pesticides or something. Dr Daniel Amen:	[inaudible 00:07:59] interaction. Tana Amen:	I was horrified. Lisa Ackerman:	Yeah, we should be horrified. You know, we should be really concerned. You know, if one in 45 had a special gift and they can function and do great things, we should celebrate that. But this is not something to celebrate. This could be one in 45 that need intensive help and the cost to treat Autism over a life span is somewhere between two and seven million dollars per affected individual. Lisa Ackerman:	We're coming back, we're coming back. Dr Daniel Amen:	Here, we're going to talk about the study. One of the big lessons I learned early on, is Autism is not one thing. Lisa Ackerman:	And that's what you should. Dr Daniel Amen:	Some Autistic kids have really healthy looking brains on the outside, but it's like a bomb went off on the inside. Lisa Ackerman:	So really hot. Dr Daniel Amen:	Which is an inflammatory response. Dr Daniel Amen:	And other kids who have Autism, their brain is so cold. Dr Daniel Amen:	Or as if they Carbon Monoxide poisoning, or they had mold exposure. Dr Daniel Amen:	Or they had an infection. Dr Daniel Amen:	And so, Autism ... And this is what we showed in all these subjects. Nearly a thousand subjects. 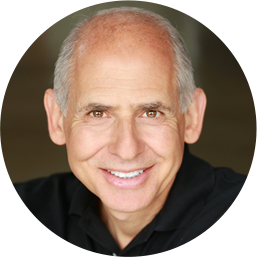 Dr Daniel Amen:	Really young to middle age. Dr Daniel Amen:	And, what we found is the classic Autism pattern, is they're hyper-frontal, which means their frontal lobes are hyper-active. And so what happens when your frontal lobes work too hard. That's a classic OCD finder. Dr Daniel Amen:	Your frontal lobes work too hard. So I think of the frontal lobes as the brains break. It stops you from saying or doing stupid things that get you into trouble. But when it works too hard, it's like the breaks always on. Dr Daniel Amen:	And they just get stuck and ... I had two kids once, great example. They were surprised Autistic kids do not like being surprised. Lisa Ackerman:	If you want to be punched, go for it. Dr Daniel Amen:	They were surprised on their birthdays by being taken to Disney Land. Dr Daniel Amen:	And in the Timon parking lot, they had three hour tantrums. And I'm looking, it's the second story in a week. Different families, not related and I'm looking at the child and I'm like, don't you like Disney Land? And he goes, I like Disney Land. I said, it's okay not to like Disney Land. You know it's hot, it's crowded, Mickey got his hands in your bucket. He's like; no I like Disney Land. And the fact is, it wasn't will-driven behavior. Dr Daniel Amen:	For them to happen and boom. Exploded. Tana Amen:	Oh my gosh! Lisa Ackerman:	Was thrown at my head. Lisa Ackerman:	Correct. Including stuff that I thought was out of his reach. Lisa Ackerman:	Thrown at my head. So I'm like; oh, is that the game we're playing, great. Left turn for the next hour. Tana Amen:	Oh that's so funny. Lisa Ackerman:	That's how I like, we need to ... Life is unexpected, you're going to get a curve ball. I get a curve ball every hour, I don't know about you. Tana Amen:	Yeah, flexibility was on a chore chart. Dr Daniel Amen:	On a chore chart. Tana Amen:	She's a little OCD. Dr Daniel Amen:	She happens to be hyper-frontal. The other thing we saw in our Autistic kids is their Cerebellum was smaller. Dr Daniel Amen:	Its well, [crosstalk 00:12:35] nothing is universal. Dr Daniel Amen:	Statistically really important. The Cerebellar Thermus, which is right in the middle part. Dr Daniel Amen:	Medial part, the inside part is smaller. Dr Daniel Amen:	in our Autistic kids. Dr Daniel Amen:	And the Cerebellums so important not just for coordination. And many times they have coordination issues but, also for thought coordination. Dr Daniel Amen:	How quickly they can integrate new information. Dr Daniel Amen:	So I'll look at a scan and I'll go, he's an Autistic spectrum disorder child. But then, what I realize is they're not all like that. Dr Daniel Amen:	Some of them are really overactive, some of them are just cold. And so in the whole vaccination issue. Lisa Ackerman:	I like this religion, over that religion. Dr Daniel Amen:	And if you say that you should be concerned about vaccines, there's a whole bunch of people that will hate you immediately. Dr Daniel Amen:	And, all I have to say is I've done a hundred and twenty-nine thousand scans on people from all over the world. I have more experience than anybody in the history of the world. I have vaccination damaged scans and it horrifies me. Lisa Ackerman:	You see, I don't actually care about people hating me, I care about the truth right? Dr Daniel Amen:	And so, does it mean ... And you brought this up in the last podcast we did, does it mean you shouldn't get your child, children vaccinated? Absolutely not but, to assume that there is no risk from it, is just wrong. Dr Daniel Amen:	It's wrong. Lisa Ackerman:	Just open up the insert, it will demonstrate other ways. Dr Daniel Amen:	Right, just read the packet. Lisa Ackerman:	Read the packet insert. Tana Amen:	When we're in bed, we're not going to get into this conversation. Lisa Ackerman:	[crosstalk 00:14:26] oh, but we're vaccinating anyways. Dr Daniel Amen:	But the point is, if you don't look at child or the young adults brain with Autism, you're missing a really important piece of information. And what you said in the last podcast, which I really liked is, you started doing labs. Dr Daniel Amen:	And because, how do you know unless you look. Dr Daniel Amen:	You can't change what you don't measure. Dr Daniel Amen:	That's a business principle. Dr Daniel Amen:	Peter Drucker said that. Dr Daniel Amen:	You know, the famous business guru; you can't change[crosstalk 00:14:56] what you don't measure. Lisa Ackerman:	What you don't-yeah. Dr Daniel Amen:	And so, the imaging work that we do here at Amen Clinics, it's all about more data. Dr Daniel Amen:	It's not about getting the answer, it's about getting more data together with the clinical history and with the lab. Dr Daniel Amen:	That then can lead; oh you have really low blood flow to your brain. Dr Daniel Amen:	Of inflammation. And then we go and hunt that up. Could that be a Mitochondrial, could it be an infection, could it be a food allergy. Dr Daniel Amen:	We don't know unless we look. Lisa Ackerman:	We talked about we have family members and friends that have kids with this Autism that had mold exposure in utero and throughout the childs first year of life. Different story but same diagnosis. Dr Daniel Amen:	And how do you know unless you [crosstalk 00:15:57]look. Tana Amen:	Unless you look. And that's what I love about him. Dr Daniel Amen:	By looking at the functional study. Dr Daniel Amen:	If you a hole like my nephew did, he had a cyst the size of a golf ball, he was aggressive, and we took the cyst out, his behavior was fine. I could tell that from the functional study. Dr Daniel Amen:	The MRI, a structural study will never tell you if you need a functional study. Because it'll never say if things work too hard or not hard enough. It'll just say, is the structure okay or not. Lisa Ackerman:	Well it's in the standards of care from the American Pediatrics for Autism to get an MRI, rule out brain abnormalities. So that's why a lot of families go out and do it. Dr Daniel Amen:	Yeah, but they're so rarely helpful. Lisa Ackerman:	Yeah, 95 percent of the families come back with a normal MRI thank God, you know you want it. That's one lab you want a normal MRI, but if you don't have a kid operating at their best level, then what else can we look at? Dr Daniel Amen:	Because, it'll tell you if you need an MRI. But an MRI will never tell you is this a toxic brain. Lisa Ackerman:	Right. Or how to treat it. Tana Amen:	Overactive, [crosstalk 00:17:15] underactive. Dr Daniel Amen:	26 years ago. Lisa Ackerman:	Well and that's what's been incredible, watching your work for so many years. And of course, having my son as a patient too. So, talk to me about the Autism subtypes. We talked about you know, Autism being so different for individuals. What are you seeing in their subtypes? Dr Daniel Amen:	Small Cerebellum, especially in the vermis. Subtype where they're not just hyper-frontal, their parietal lobes, their temperal lobes, their whole brain is working way too hard for their age and for their gender. Dr Daniel Amen:	For this child. But it's not everybody. Dr Daniel Amen:	type. It's their right hemisphere is on fire. Dr Daniel Amen:	Cues, so in right-handed people it's the non-dominant, the right hemisphere. Dr Daniel Amen:	It can read, you're happy with me, you're not happy with me. You're interested in what I'm saying, you're completely bored with what I'm saying. Dr Daniel Amen:	But, it's that right hemisphere Crescent Moon pattern that we've seen, which means, for some people we can interrupt that with things like trans-cranial magnetic stimulation. But if you don't look, and you do TMS on all Autistic kids, you're not going to get a great response. Lisa Ackerman:	Which leads me to my follow-up question, can you treat every brain the same? Dr Daniel Amen:	It's like giving everybody who's depressed Prozac. Dr Daniel Amen:	Or how's that been working out? [crosstalk 00:19:44] No better than placebo. Lisa Ackerman:	Yeah, that's okay. Tana Amen:	Well I love what you said Lisa when you we didn't know what to do, so we just focused on normalizing the labs. And not everybody's labs are going to be the same. Not everybody's scans are going to be the same. Tana Amen:	So if you're working at, that's a great philosophy, you have to work on normalizing your brain and your labs. Lisa Ackerman:	Correct. And to me, that's the most important thing has been my frustration for years is, there's no one protocol. You can't do just one thing and expect the same results across all kids on the spectrum. Lisa Ackerman:	They're all different. Lisa Ackerman:	And their strengths and their[crosstalk 00:20:22] weaknesses. Tana Amen:	[inaudible 00:20:22] are different. Dr Daniel Amen:	Right. I mean there's some universal things that I think are really good to do. Dr Daniel Amen:	I think putting them on an elimination diet, that just makes sense. Dr Daniel Amen:	Optimizing their B vitamin levels. You know there's some simple things I think really works but, if you don't look, you don't know. Dr Daniel Amen:	And we want more, I want more information for my patients and I don't want to guess. You know, I always felt like before I was just doing imaging, I always felt like I was Johnny Carson in Carmac the Magnificent. Right? Lisa Ackerman:	I love that. Dr Daniel Amen:	Let me tell you, what's the answer. And it's like, no doctors don't act like that. But it's why in 1980 when I told my Dad I wanted to be a psychiatrist, he asked me why I didn't want to be a real doctor. And you know, I'm like; who says that [crosstalk 00:21:20] to their child? Lisa Ackerman:	He said that very blunt. Dr Daniel Amen:	And that's why we were made fun of. Lisa Ackerman:	Well, what I hope is based on this study is doctors and trained physicians out there look at this and go, now I know I can help different kinds of patients by looking. Understanding this patient and creating a treatment path just for them, dear God. Tana Amen:	It's really good. Dr Daniel Amen:	With our collaboration with them also with the University of California in San Francisco. So we had really high level scientists looking at our data and we're just really proud of it and proud to serve the Autism community. Lisa Ackerman:	Oh my God. Dr Daniel Amen:	To the Brain wires Way podcast. Lisa Ackerman:	I have like 86 more questions.